I know.. it's a bold statement... “Cinnamon Rolls that GIVE YOU LIFE"...and it's ok to be skeptical. I understand. Since we're friends, I'm going to let that pass and you can thank me later. 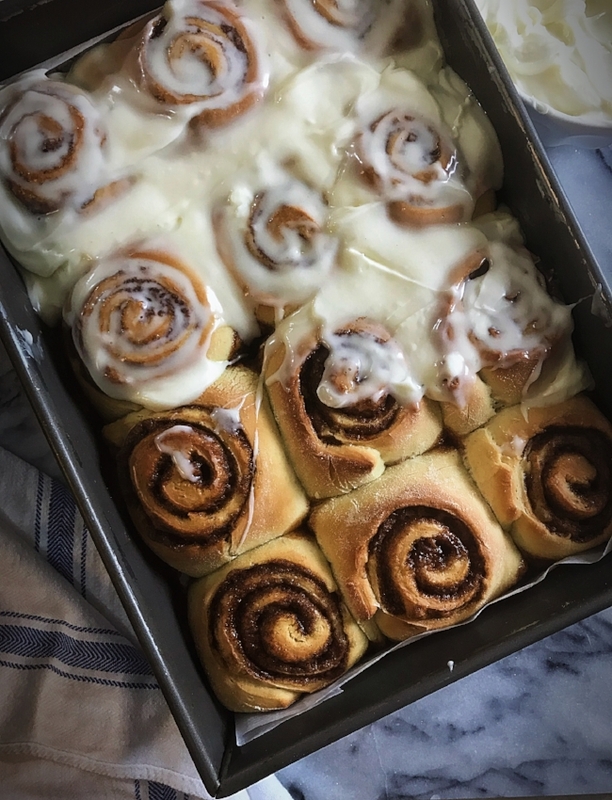 Actually, when you've made them, invite me over for coffee and we can eat these cinnamon rolls and go on and on about how ridiculously good they are. It's happened before. So I'm ready for you! The cream cheese glaze is over the top and makes these extra delicious. I've had this recipe a while and I'm not really sure where it originally came from. I've adapted it a little here and there but have finally settled on this version. It’s fabulous. It's consistent. Consistency is key! Because this is a sweet dough, it will need to go through two rises. While the process itself is simple, it does take time. 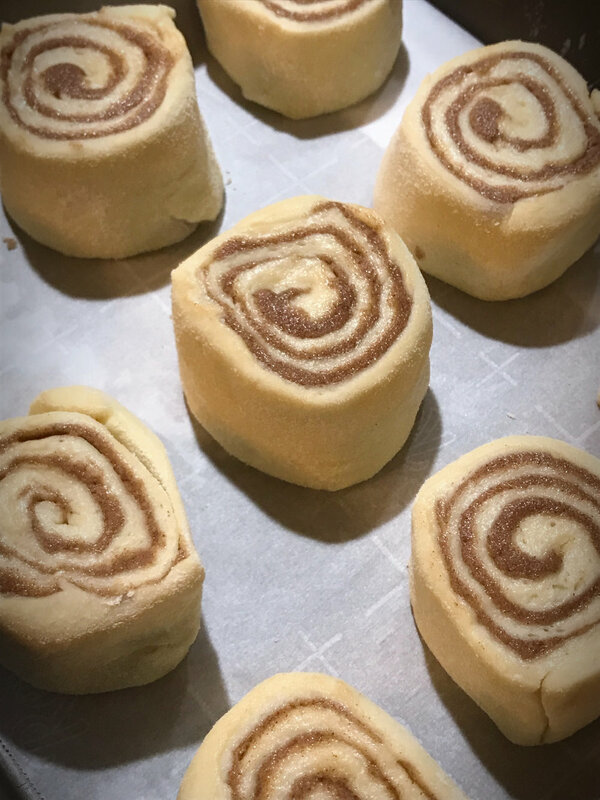 I prep the cinnamon rolls a day or two before we plan to have them. Then, the day of, I take them out and put them in a warm spot where they rise for about 1 hour. I have also found that if I quickly “preheat” my oven (by setting it at 350degrees for about one minute and then turning it off), the inside of a slightly warmed oven is better than a spot on the counter. If you have a “dough rise” setting on your oven it’d be great to use here! I pretty much reserve these for a weekend treat because I don't have the time or inclination to get up extra early on the weekdays. On the upside, they reheat like a DREAM for Monday morning blues or a Hump Day treat! 1. Place water and yeast in the bowl of a stand mixer. Mix and let stand 5-10 minutes until foamy. 2. Add whisk attachment. Add salt, milk, sugar, butter, eggs. Mix well until all ingredients are incorporated. 3. Switch to paddle attachment. Add flour 1 cup at a time. Mix until flour is incorporated. 4. Remove the dough from the mixing bowl. form a smooth ball with your hands. 5. 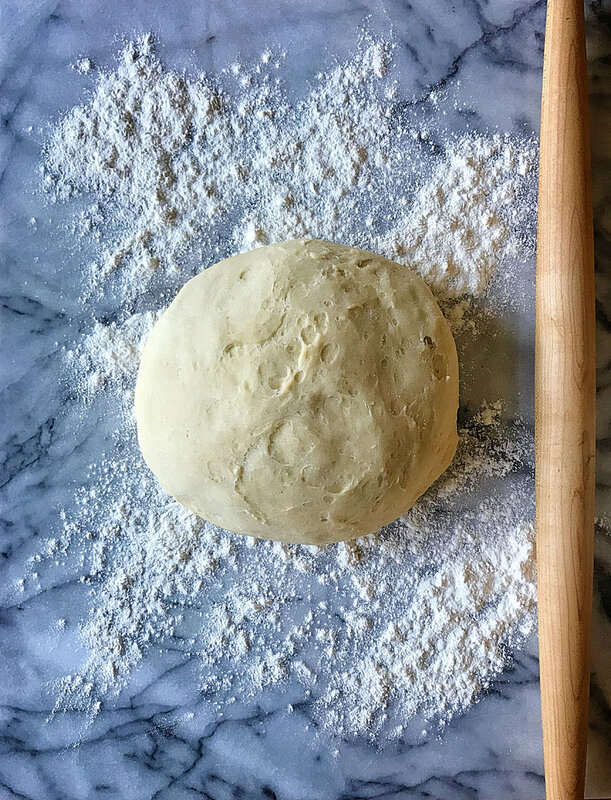 Place dough in a lightly floured bowl in a warm & draft free spot. Cover with kitchen towel and let rise 1 to 1 1/2 hours, until doubled in volume. 1. In a separate bowl, mix together butter, sugar, and cinnamon. 3. If desired, you can add 1/2 Cup raisins and/ or 1/2 Cup walnuts to this mixture. 1. Line 9 x 13 inch cake pan with parchment & spray with non stick cooking spray. 2. Place risen dough place on a lightly floured board. 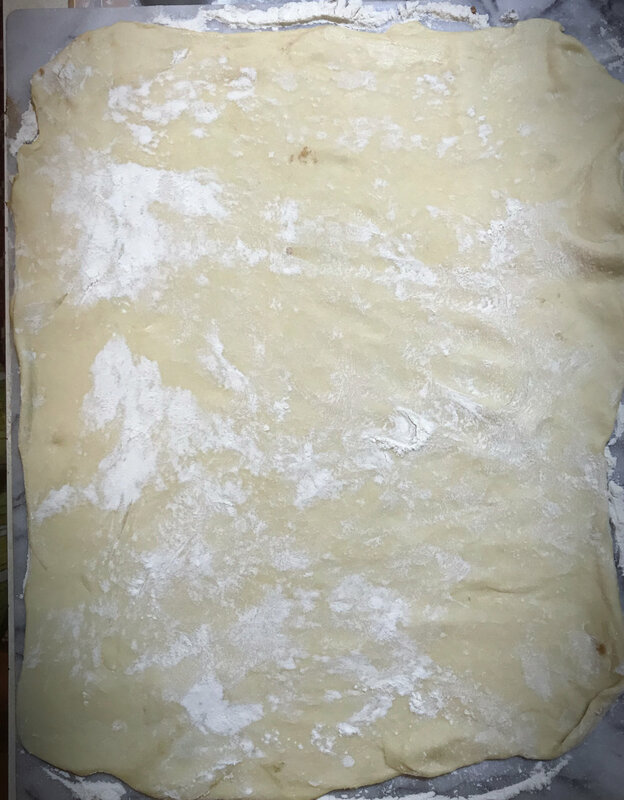 With a rolling pin, roll into a large, thin rectangle shape- approximately 18 x 24 inches. 3. Gently spread cinnamon filling over the top. Stay about one inch away from all edges. 4. Starting from the widest edge, gently roll towards the opposite edge. Continue until you have one roll. Keep the edge side down. 5. Cut off each edge with a sharp kitchen knife so edges are even. 6. Slice into 12 equal pieces about 1-2 inches thick. 7. Evenly place the sliced pieces into the pan. Be sure to keep a bit of space between each roll to allow room for rising. 8. If you plan to bake these the same day, cover with a kitchen towel. If you plan to bake these at a later time (up to two days later), cover with plastic cling wrap and place immediately into the refrigerator. 9. Place in a warm area and let rise for about one hour or until doubled in volume. 10. Preheat oven to 350degrees. 11. Bake, uncovered, for 30 minutes . 1. While the cinnamon rolls are baking, place butter, powdered sugar, vanilla, and cream cheese into the bowl of a stand mixer. Whisk until smooth. 2. Add milk or cream, 1 tablespoon at a time until you've reached the desired consistency. Should resemble the consistency of a very thick custard- not overly runny like cake batter. The heat from the cinnamon roles will melt it down a bit. 3. Spread Glaze over hot cinnamon rolls. 4. 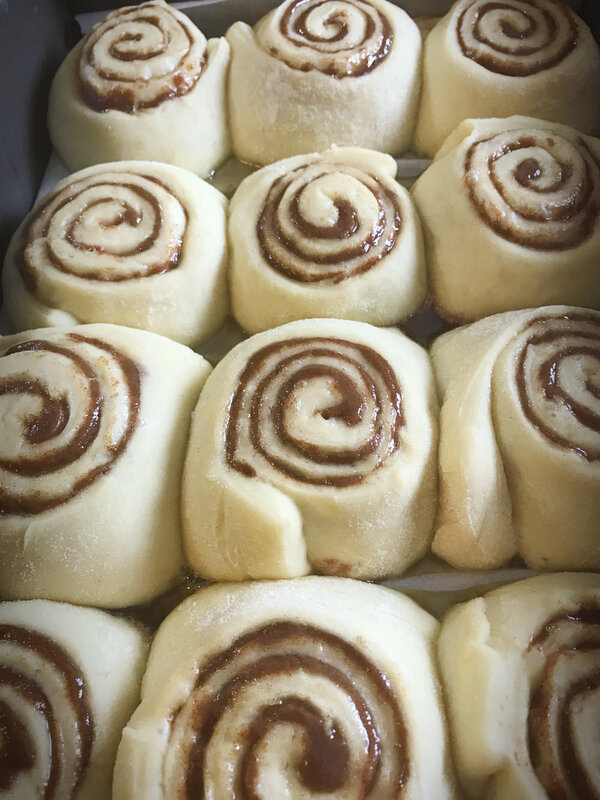 Let the cinnamon rolls cool for about 10 minutes before serving. Prepare the Cinnamon Rolls and Cream Cheese Glaze up to two days before. When you remove the cinnamon rolls from the refrigerator, remove the cream cheese glaze at the same time. Put the Cream Cheese Glaze on the counter and allow it to come to room temperature while the rolls rise and bake.